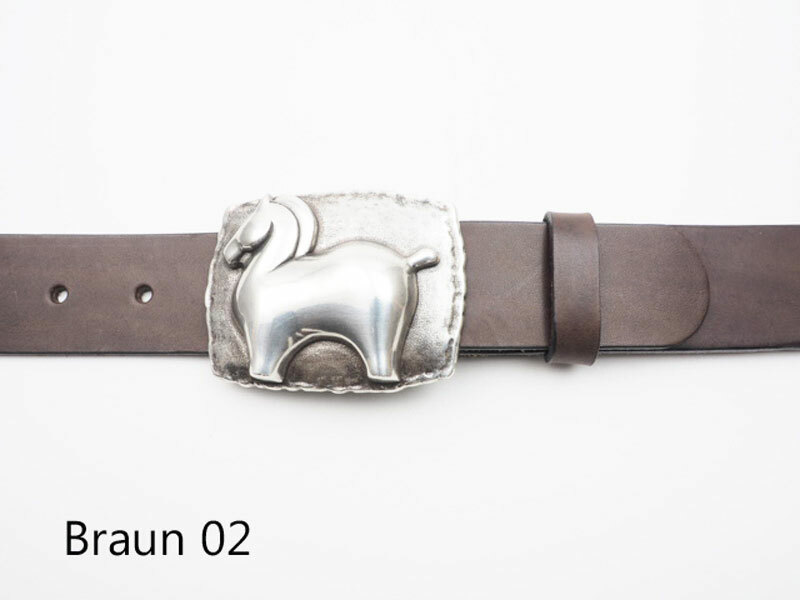 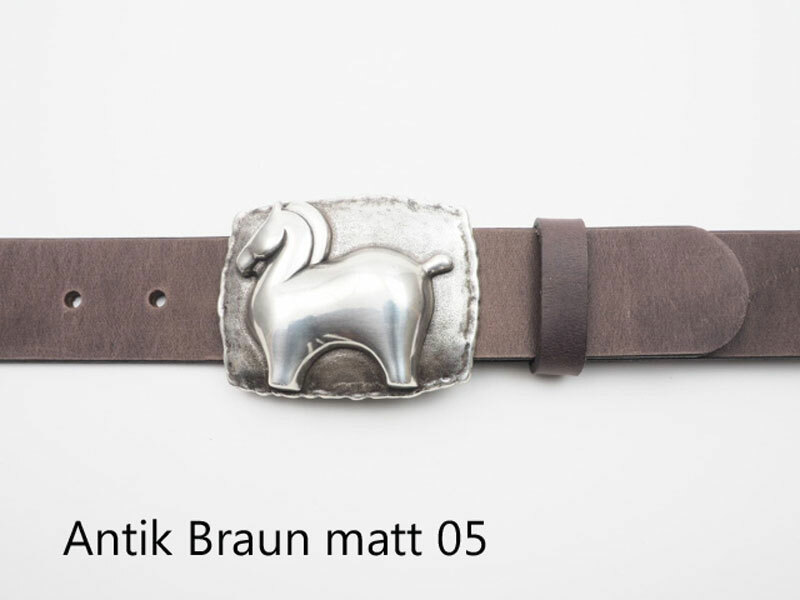 Leather belt with a trojan horse style buckle. 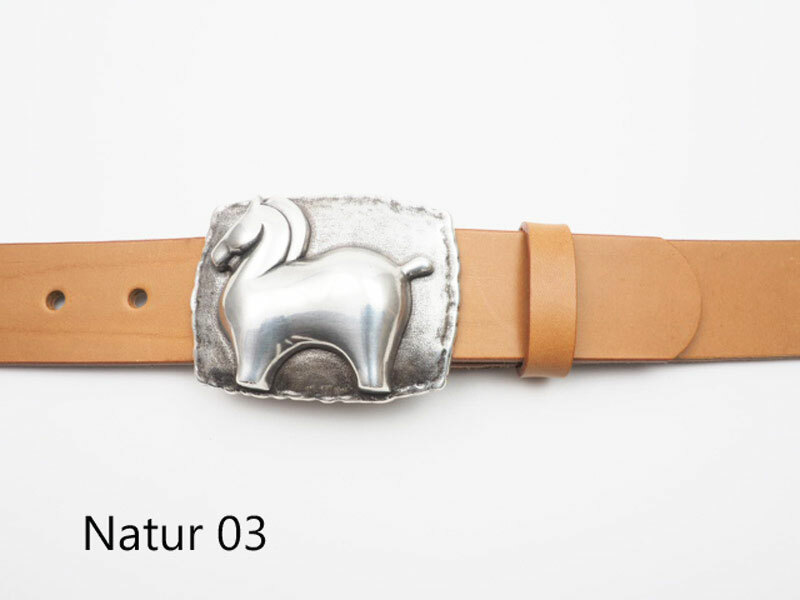 High quality crafted, silver-plated, nickel-free buckle. 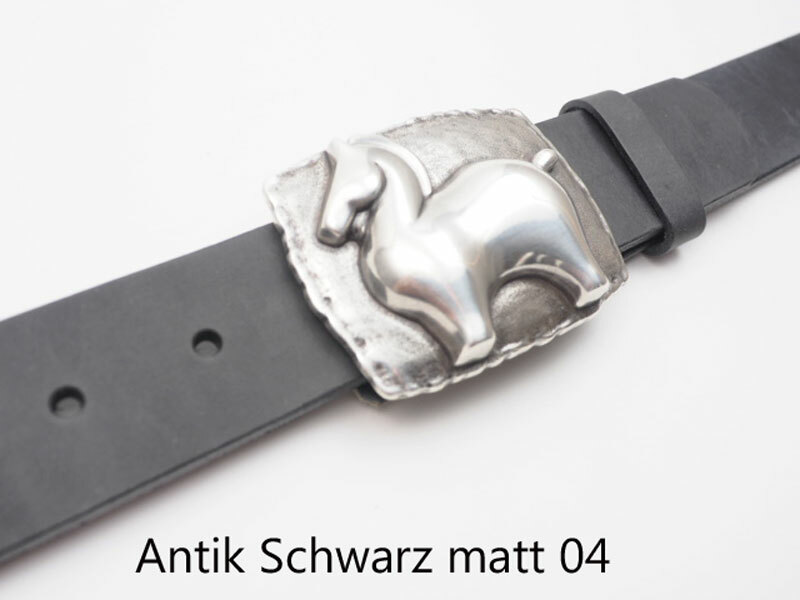 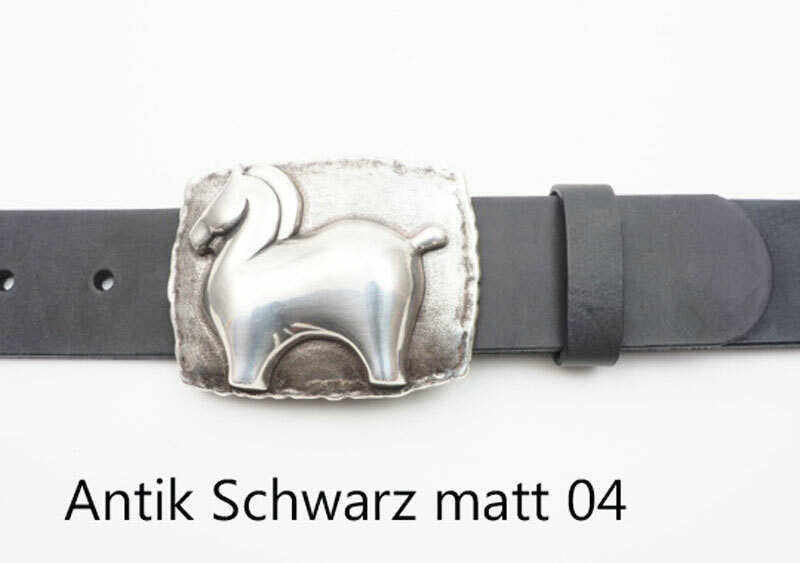 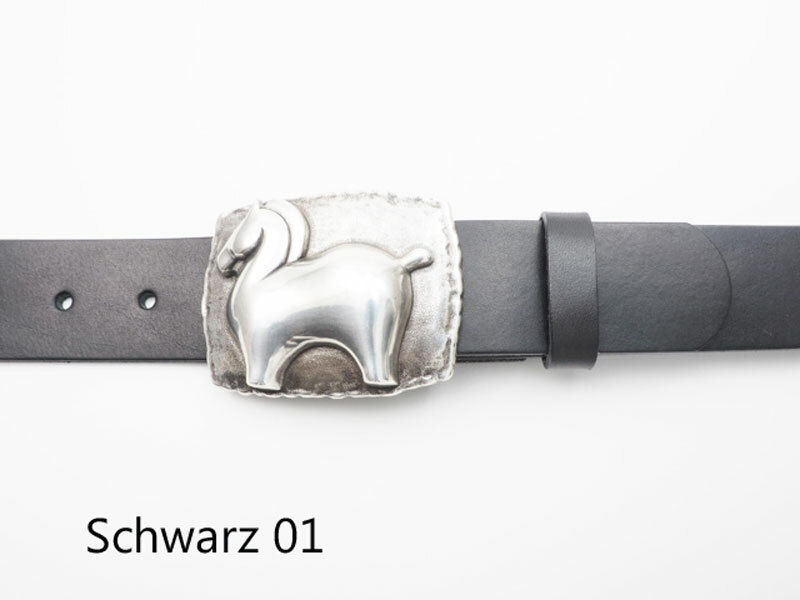 The buckle basis is in an antique finish in contrast to the shiny horse, which gives the buckle an unusual 3D appearance.